Congratulations to the winners and all participants. 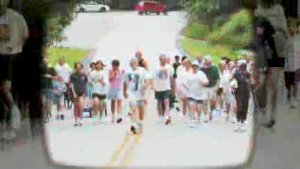 The Berkeley Lake Track Club (BLTC) is an informal club of running, jogging, and walking enthusiasts. Our purpose is to promote healthy exercise and enjoyment of the Berkeley Lake environment for our citizens. All citizens of Berkeley Lake are members! We have no officers, directors, or assets other than the natural resources of our community, the experience and knowledge of our members, our reputation and good name. The BLTC utilizes two courses for our Fun Run races. Participants may choose to run or walk either course. Both courses begin and end at the Lake Berkeley Chapel.